By Hilary Levey Friedman, Ph.D. Even if your child prefers athletics to “mathletics,” it’s more important than ever that kids learn the language of math. Everyday life demands an increasing amount of math fluency starting when we’re young. But children often dislike the subject, and math homework can be a struggle in many households. To tackle this issue head on, we need to help more math-competent kids become high-performing mathletes who participate in clubs and competitions, especially young women. Throughout grade school — and even into high school and college — females outperform males in math classes. Despite earning better grades, however, they don’t go into math-intensive fields and are underrepresented at the highest levels of math achievement. So how can we encourage our young daughters — and sons — to start training as mathletes? In her controversial 2011 best seller, Battle Hymn of the Tiger Mother, Amy Chua argues that children may find playing a musical instrument hard at times, but the difficulty is actually what makes it fun ... eventually. When it comes to math, experts agree. Glenn Ellison, an economics professor at the Massachusetts Institute of Technology, works on game theory that relies heavily on his mathematics background. Ellison is also the father of three girls, all of whom are mathletes. His oldest, Caroline, qualified for the U.S.A. Mathematical Olympiad, and Ellison has coached teams of grade-school students for math competitions. He wrote a series of worksheets to help his student mathletes prepare, and the worksheets became so popular that he compiled them into a 2010 book, Hard Math for Middle School. The success of that book led to another, Hard Math for Elementary School, published in 2013. While we do want to make math fun and promote deeper thinking, kids must develop a strong set of basics to rely on when that deeper thinking kicks in. One of the biggest criticisms (although some say it’s a strength) of the American math education system is that rote memorization isn’t emphasized. But if a child has to stop to think what 9 times 12 equals, it can throw her off in solving more complex problems. Repetition is one of the cornerstones of the Saxon program and many Asian-based methods of math that rely on memorization, such as the Singapore method. Kumon, the largest after-school math program in the world, opened outside Japan for the first time in New York City, in 1974. 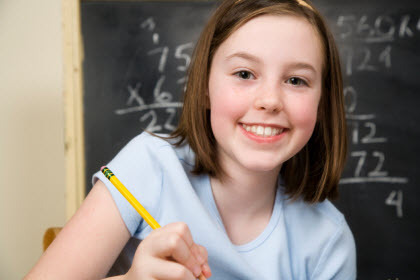 In 2013, nearly 275,000 American mathletes participated in Kumon’s program. Mary Mokris, Ph.D., is an in-house education expert for the New Jersey–based Kumon program. She says that Kumon strives to promote mastery little by little, so all students are prepared to study calculus in high school. This may involve spiraling back to concepts that seem repetitious at times, but it helps lay the groundwork for more in-depth learning. If they haven’t mastered basic mathematical principles, kids who previously loved math may become frustrated and discouraged as they try to progress. Ellison not only coaches math teams but has also studied them. He and his co-author, economist Ashley Swanson, found that girls who attend schools where there are math teams with female members are far more likely to become mathletes, while boys can become math superstars regardless of whether there’s a club at school. 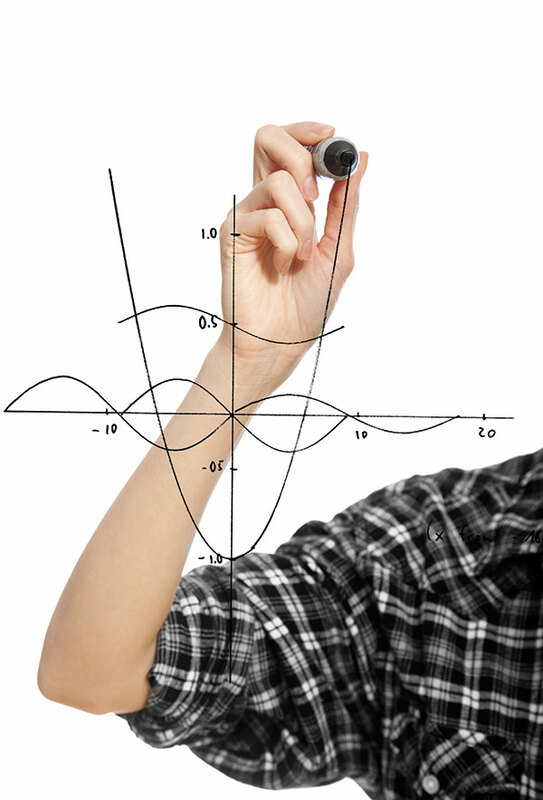 When high school mathletes do extremely well on the American Mathematics Competitions exam, they are invited to join Olympiad teams. Of this group, half the boys come from about 200 different high schools across the U.S. For the girls, the story is very different — they come from only 20 high schools. But those same schools have other girls who are successful at math, so participation by some encourages budding math stars to follow their lead. This finding highlights that math is a social activity at heart, and that social dynamics within schools matter when it comes to fostering mathletes. Ellison believes that at the middle school level, the best teams have coaches who are good at recruiting kids and getting them excited. But in high school, successful teams are often student driven. “There may be one or a few top kids who got very into competitive math, and these kids help to draw in others and organize practices. And the leadership gets passed down from older to younger kids,” he notes. The takeaway is that if your child’s friends do an activity with them, it’s more fun. This means they’re more likely to study together, practice together and want to do well for their teammates. How can parents help? Encourage the formation of a math club at your child’s school, and work to get students involved. The club doesn’t have to go to competitions, but competitions give kids a reason to study together — and can provide extra incentive to stick with it. If a club isn’t possible at your child’s school, you can still find sharable math all around. Teach your kids how to follow the stock market or analyze sports statistics. Play complicated board games as a family and think about the ways math can help you gain an advantage. And instead of just reading stories together at bedtime, do a daily math problem (sign up to receive one every day from Bedtime Math). You might even enjoy the refresher course! Hilary Levey Friedman, Ph.D., is a writer and sociologist who studies education, gender and after-school activities. She is the author of Playing to Win: Raising Children in a Competitive Culture.